If your an Ethical Hacker, You need to do simple few things..
info: Make your Website, Share your Knowledge try to help your Friends and everyone that needs help related to your field, help them until you find out for there problems, if you are going to help them they will surly refer you to there friends and by these simples things your getting lots of friends request thought social media, or yeah social media is really much important now a days for business and for getting hired as an hacker 🙂 lots of still willing to hack there friends accounts and many things.. These hackers work with businesses to probe their networks for security holes, vulnerabilities to social engineering, and more, while considering the mindset of someone who might have criminal motivations. To learn about what such work is like we spoke with Ben Miller, an ethical hacker at Parameter Security. 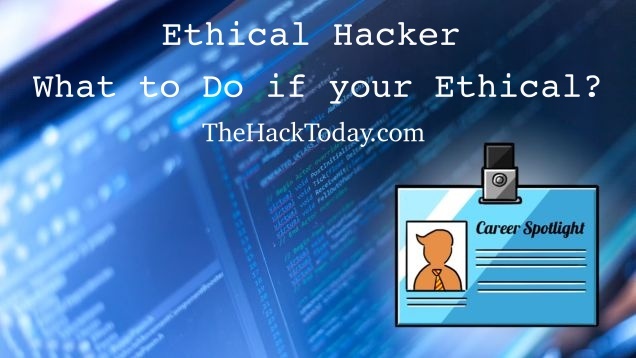 Ethical Hackers: Who Are They? Ethical hackers are computer experts who deliberately try and penetrate the IT infrastructure of an organization in order to identify its vulnerabilities and report these to the management. They are also called White Hat hackers and they only gain legitimately from their hacking abilities. They are paid by the organization they work to find information that can be used to better safeguard the IT network. And What skills you need? I’m not one to talk money, but I really believe if you work hard, hone your skills (including soft skills like negotiation! ), you can make as much money as you want to make in this field. If you want to make a lot of money straight out of school or fresh from getting a certification, you are going to be working for a company that owns you, forces you to travel a lot, and considers sleep a luxury. If you want to have some life/work balance, you are going to need some years of experience both in “regular” IT and security to start making the big bucks. Also, location matters a lot, I’m in a good area for cost of living, and that helps.